If you’ve ever wondered: “What’s better for your business: Facebook or Twitter?” Then, you’re in the right place. Today, I’m going to pull the curtains and show which of these two popular social networking sites – Facebook and Twitter, is better for your business. Almost every Internet user is on Facebook. It’s difficult for any social media site to Facebook in terms of monthly active users. Facebook has almost 2 billion monthly active users, whereas Twitter has little more than 3 million users. 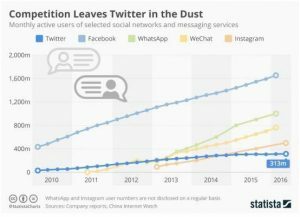 Twitter has one-fifth of Facebook’s users. Facebook proves to be the clear winner when it comes to reaching out to maximum number of new customers and spread a word or two about your brand. Well, there could be a thousand strategies and a million tools to track that. But here’s quick trick that can easily help you keep a track of new customers to your Facebook business page. Encourage new visitors to ‘Invite Friends’ to like your locations. This will help you get more ‘likes’ for your page. 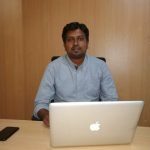 India’s leading web insurance aggregator Policybazaar.com uses this strategy to maximize its exposure and reach out to new customers. Check out how Policybazaar Facebook page is using ‘Invite Friends’ to its advantage. Usage of mobile apps has been increasing every day. There are apps for everything – shopping, banking, dating and socializing. Out of all the categories, social networking is the most popular app category and most app users spend their time using social networking apps. In fact, 20% of all the mobile time is spent on social networking apps. And when it comes to app popularity, Facebook beats Twitter hands down. As of November 2017, more than $159 million unique visitors accessed the Facebook app; whereas the number of unique visitors who accessed the Twitter app is $75.49. 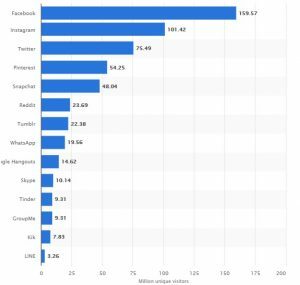 Given these stats, it’s no rocket science to understand why Facebook remains the mobile app of choice for brands across the globe. Engagement rate matters the most when it comes to marketing your brand, products or services on the social media landscape. Twitter brings more engaged traffic as compared to Facebook. The average number of Facebook posts daily across all industries is 1.1 posts. The frequency of posts is 8 times each week. On the other hand, the average number of posts daily on Twitter across all industries is 1.5 posts daily. Most users love spending their time sending out tweets than publishing Facebook posts every day. 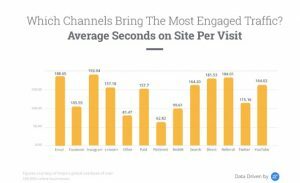 Facebook remains the best social media channel for businesses planning to drive engaged referral traffic. In fact, users interact more with updates shared on Twitter. But what can you do to engage users with your tweets? Use humor when in your tweets. Make sure you’re replies are funny. But be careful of not crossing the limits. This means you’ll need to make use of healthy humor. 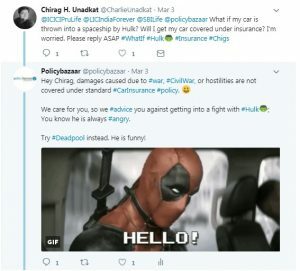 Here’s an example from Policybazaar Twitter Page of how you can use humor to engage users and attract new ones. You can easily turn the most serious complainants into your ardent fans on Twitter by using a bit of quick wit and humor. But don’t forget to play by the rules. Okay! So here’s the final verdict – Facebook remains the most important platform for your business. But here’s the deal: you can’t do with Twitter. Use a combination of both Twitter and Facebook as they work very well together. Don’t forget to put this learning and see your social media efforts helping you reach new heights.